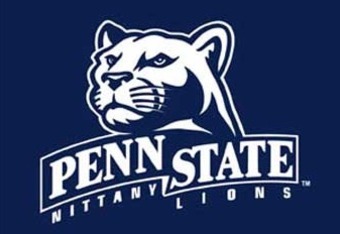 Make sure to attend this years Blue and White weekend at Penn State University for 2011. UPDATE 4/17/11: In-case you missed the football game, Blue beat White 10 to 0. “Penn State will hold the 2011 Blue White Weekend festivities April 15th-17th. …The free football scrimmage will take place Saturday, April 16th inside of Beaver Stadium. Admission and Parking to the scrimmage is FREE for all visitors and is a great chance for football fans to get a look at the new 2011 squad. This year’s Blue-White Weekend presented by AAA will launch the celebration of 125 years of Penn State Football. Kickoff is scheduled for 2:00 p.m. in Beaver Stadium. More than 70,000 have attended the game the past four years. 2011 PSU Blue White Game Weekend!!! Penn State will hold the 2011 Blue White Weekend festivities April 15th-17th. Also, for the first time, the carnival adjacent to Beaver Stadium will extend into Sunday, operating from 10 a.m.-3 p.m. Numerous events will be held in conjunction with the Blue-White Game presented by AAA to celebrate Penn State Football, including the popular pre-game autograph session with the players, a three-day carnival, food, pre-game parade, live entertainment and fireworks. The announcement of the spring football award winners and the recipients of the PNC Bank “Player of the Game” from last season also will be announced at the game. The Penn State baseball, men’s lacrosse, women’s lacrosse and women’s tennis teams also will be competing at home during Blue-White Weekend presented by AAA. The baseball team hosts Purdue on Friday (6:35 p.m.), Saturday (5:00 p.m.) and Sunday (1:05 p.m.) at Medlar Field at Lubrano Park. – Stadium parking lots will open at 8 a.m.
– Stadium gates A and B will open at 12:00 p.m.
– Autograph session with the players will run from 12:30-1:15 p.m. Please check back as additional Blue White Weekend events will be added once they are announced.